We seem to be so obsessed with the term superfoods lately, referring to products of the tropical and exotic variety, from chia seeds to maca and goji berries, that sometimes we forget about the good old super foods that hail from our own backyards. While I do love and use some of the exotic “superfoods” myself, I will say that I’m partial to local foods and feel like choosing foods that naturally grow in ones environment is the more logical approach to balance. Apples for example are one of the most balancing fruits known to man. They help the body regulate blood sugar levels and blood fat levels, they’re a good source of fiber and one of the easiest foods to digest. It’s no wonder an apple a day keeps the doctor away, right? I love apples. 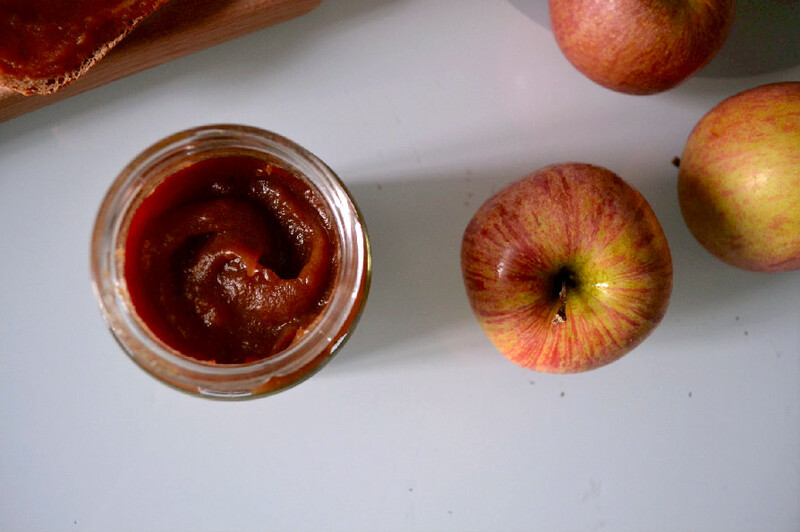 I love the flavour and texture they impart when added to baked goods and the delicious comforting snack they make when cooked down into an apple sauce or butter. I love dehydrated apples as a snack, or biting into a sweet, crisp and juicy Golden Delicious apple. There’s also nothing like a warm cup of apple cider to warm you up, calm the nerves and kick those sugar cravings. 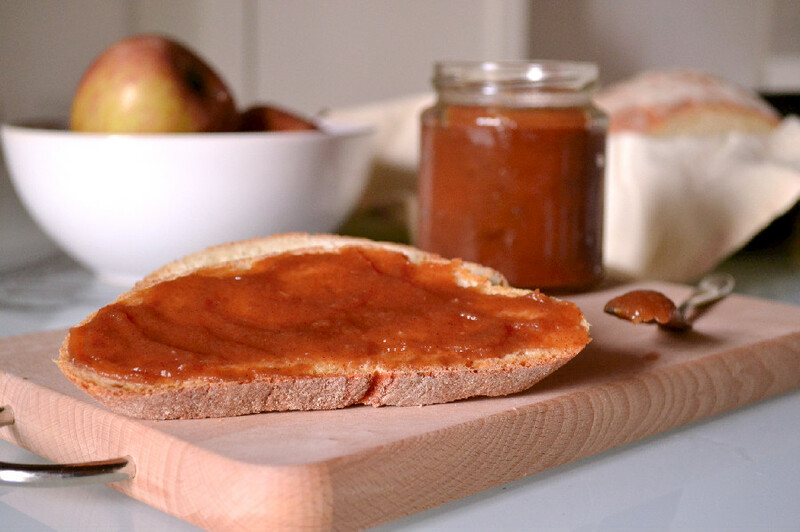 While apples are available year round due to storage techniques, autumn is their prime picking season, which makes this the perfect time to make this delicious apple butter. 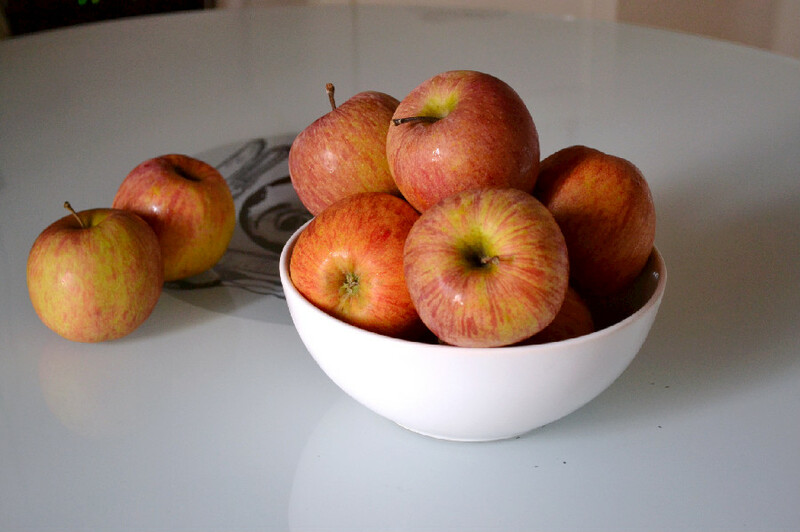 I’ve used Fuji apples here but you could use any sweet and tart apple you like. It’s really simple, and besides a sprinkling of cinnamon, there’s nothing to it, just pure unadulterated apples for your enjoyment. 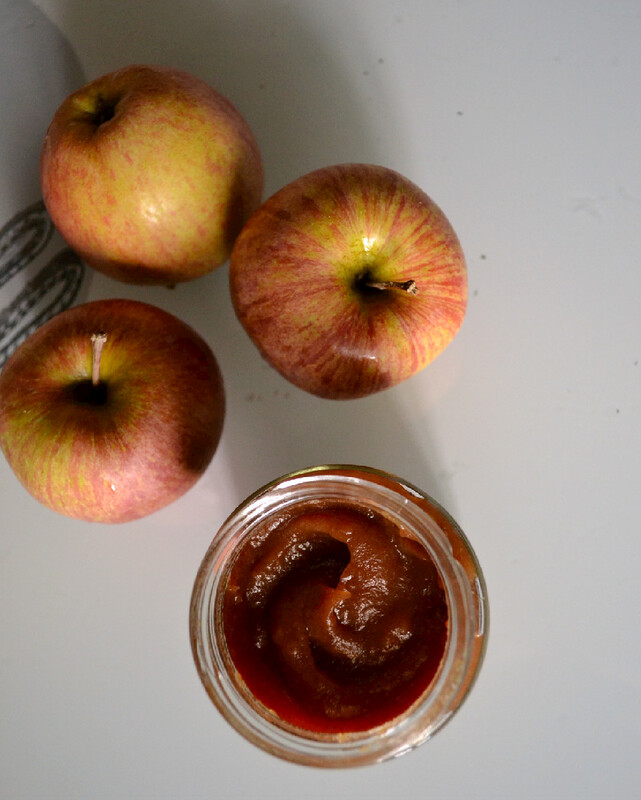 This recipe is simple to prepare and produces a delicious, flavourful and naturally sweet apple sauce and/or butter with all the goodness of real apples. Core and slice apples into large chunks and place in a heavy/thick bottomed pot with the liquid. You don’t have to worry about peeling the apples as you’ll puree everything later on, so you’ll lock in all the goodness. Bring to a boil, reduce heat, cover and simmer on low for about 1 hour, stirring occasionally to prevent sticking. Remove from heat and using an immersion blender, purée the cooked apples. At this point, you will have smooth apple sauce and you can stop here if you like or move on to the next step to get apple butter. You can also make a double batch, reserve some sauce for a snack or baking project and make butter with the rest. Stir in cinnamon, cover and simmer over low heat for about 60 – 75 minutes, stirring frequently to prevent sticking, until the purée has reduced and thickened to a spreadable “butter” consistency. 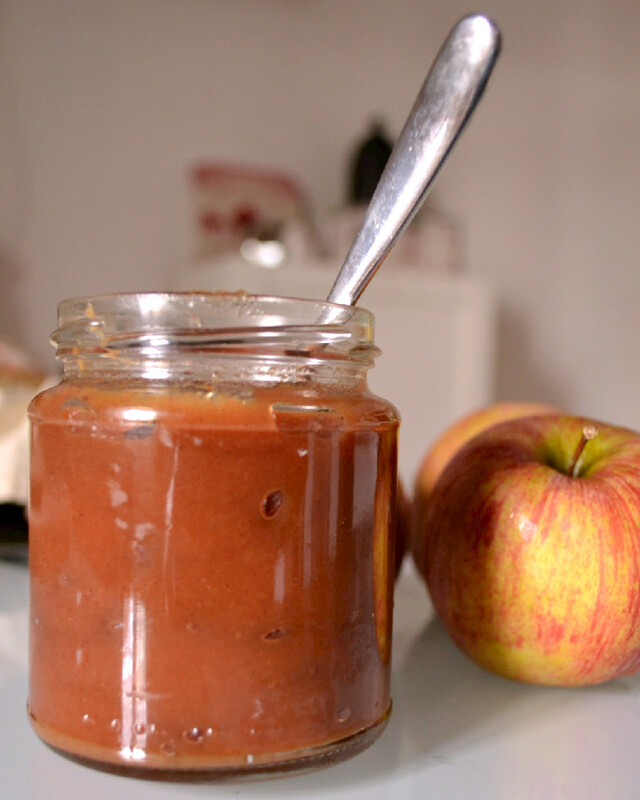 Just like that, you have apple a deliciously flavourful and naturally sweet apple butter. Enjoy!